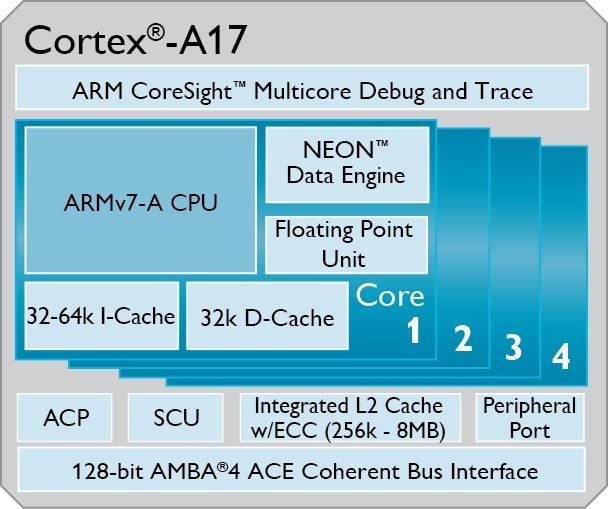 The Cortex-A17 is not meant to replace the A15 – that's still the flagship CPU core design from ARM. The A17 is a mid-range part that should give chip makers a better option than continuing to use older A9s, the limited A12, or just a bunch of low-power Cortex-A7 cores. 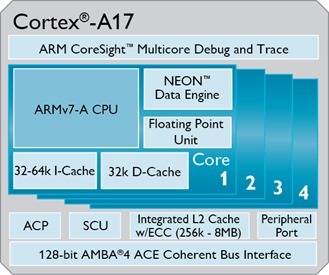 Cortex-A17 supports full-system coherency for ARM big.LITTLE with the CCI-400, which means it can operate alongside low-power cores like the A7. 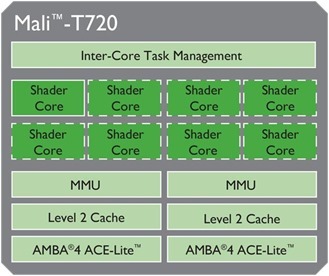 ARM licensees will also have the option to integrate the Mali-T720 GPU with this and other CPUs. 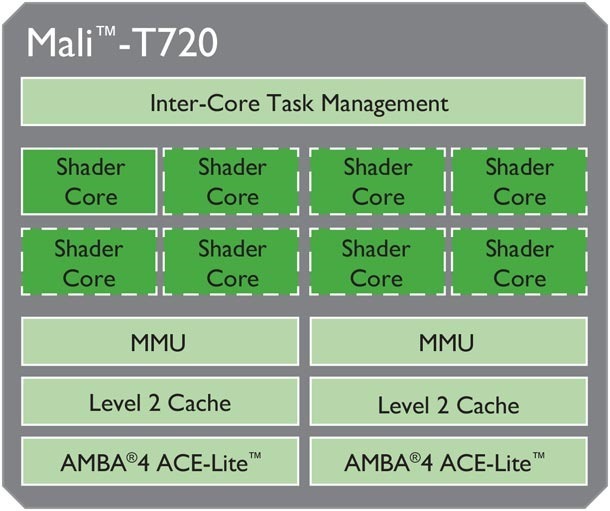 The Mali-T720 GPU is a "cost-optimized" GPU that supports Open GL ES 3.0, OpenCL, and RenderScript. This seems like a design that would be right up MediaTek's alley, and indeed the company has announced a chip that will use the A17. The MT6595 will be an eight-core chip – four A17s and four A7s. The A7 cores will the the LITTLE half of the big.LITTLE configuration, and the MT6595 will support Heterogeneous Multi-Processing (HMP). That means all eight cores can operate at the same time. This system-on-a-chip will also have built-in LTE, which could be a big deal in mid-range phones and tablets. 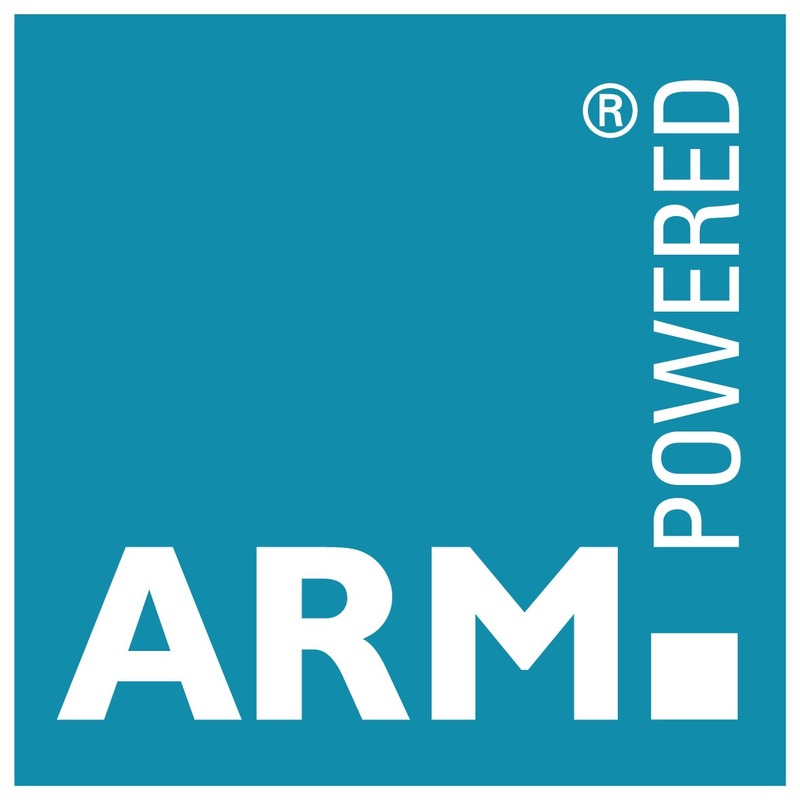 ARM expects Cortex-A17 to be big in 2015, but MediaTek is going to start producing the MT6595 in the next few months, and is targeting devices for late 2014.